The mechanism of resistance of selected recombinant Oryza sativa inbred lines (RILs) resistant and partially resistant to Meloidogyne graminicola, and their resistant (IR78877–208-B-1-2) and susceptible (IR64, Dinorado) parents was examined by comparing the penetration and development of the second-stage juveniles (J2) and females with the nematode infection process in the resistant Oryza glaberrima genotype TOG5674. Lignification and total phenolic content of infected and uninfected plants were also studied. Less J2 were able to penetrate the roots of the partially resistant and resistant O. sativa genotypes included in the study. The development of J2 that had penetrated in the roots of the RILs was delayed resulting in turn in a delay in the development of egg-laying females and the second generation. Lignification was more intense in infected plants compared with uninfected plants and in the resistant genotypes (especially TOG5674) compared with the susceptible genotypes. This observation suggests that lignification, at least in some rice genotypes, is constitutively expressed and that this expression may differ in time. The accumulation of lignin in the epidermis of some RILs and the endodermis of TOG5674 at 1 day after inoculation suggests that lignification may act as a constitutive post-penetration mechanism of resistance to M. graminicola infection at least in some rice genotypes. On the other hand, higher intensity of lignification in resistant vs susceptible genotypes and the accumulation of lignin in the endodermis at the site of giant cell formation may suggest that lignification also acts as an inducible post-penetration mechanism of resistance to M. graminicola infection. 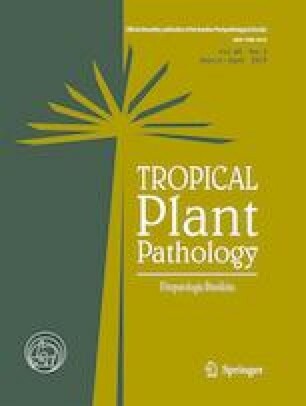 A higher total phenolic content was observed in infected plants of some RILs compared with uninfected plants during the first weeks of observation. This study was supported by a Flemish Interuniversity Council (VLIR-UOS). The authors would like to thank the Nematology and Drought/aerobic Breeding Group at the International Rice Research Institute (IRRI), Los Baños, Philippines, for their technical assistance.